The Parry NPDPF6 double pedestal electric fryer is a powerful and reliable addition to the modern professional kitchen. 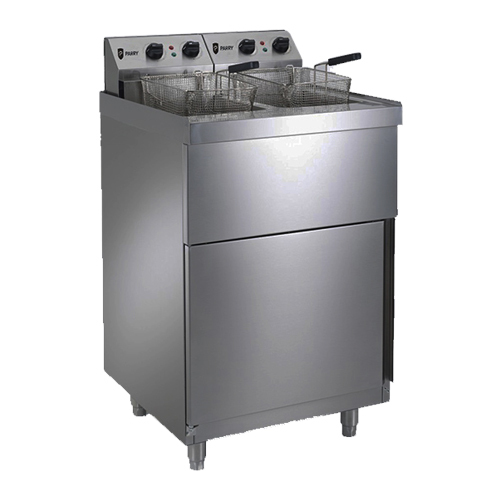 Versatile and easy to use, the fryer features dual 9 litre tanks, adjustable thermostatic control and a hinged front access panel. Manufactured from high grade stainless steel construction, the Parry fryer is durable and simple to maintain.